Kristen Wood delivers the pitch. The senior is Northwestern’s ace in 2016 after starting the most games last year for the team. After yet another NCAA tournament appearance in a 2015 season where Northwestern finished 28-23, and went 14-8 in the Big Ten, the Wildcats are primed for another successful season with coach Kate Drohan at the helm. The team made it to the NCAA South Bend Regional last season, where it dropped both games to Kentucky and then-No. 16 seed Notre Dame. That being said, the Cats are off to a hot start this year, winning three of five games in Arizona last weekend, and Drohan said she is confident the Cats can elevate their play this season. All the pieces for a winning season are in place, and both Drohan and senior shortstop Andrea Filler agree the team’s mentality going into the season will be the difference-maker in winning close, tight games that have often been an Achilles heel for the Cats. Filler said nurturing a “blue-collar mentality” has been a key piece of Drohan’s offseason plan. As the Cats look ahead to this weekend’s Big Ten/ACC Challenge, Drohan sees plenty of opportunity to test that grit by making adjustments to the lineup, incorporating new faces and finding the winning combination to take the field. 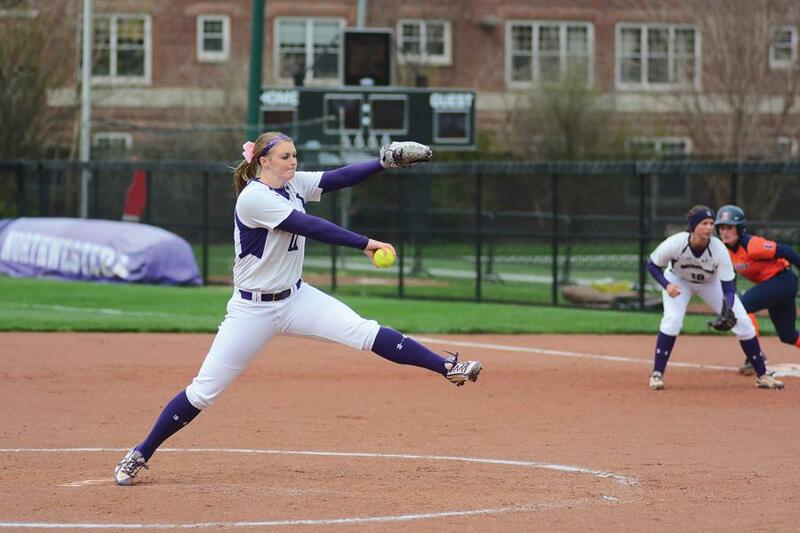 Although NU plans to play all five freshmen on roster before Big Ten play begins in March, the team will be heavily reliant on the seven returning seniors and a core of healthy, skilled pitchers, including ace senior Kristen Wood and versatile senior Amy Letourneau. Wood, who went 16-11 with a 4.30 ERA in 2015, appeared in 41 games and pitched 190.2 innings with 229 strikeouts. On the other side of the ball, Filler, who led the team in batting average, RBIs and home runs last season, will continue to anchor the offense. This past weekend, Filler led the Cats at the plate with two doubles, a triple, three home runs and 13 RBIs throughout the five game Kajikawa Classic. Combined with last year’s Big Ten Freshman of the Year, centerfielder Sabrina Rabin, who led the Big Ten with 18 stolen bases in conference play, NU’s offense should be a powerhouse this season. Filler and Rabin will also have help from senior second baseman Brianna LeBeau and sophomore catcher Sammy Nettling, both of whom have proven to be clutch in RBI situations, driving in 29 and 25 RBIs respectively in 2015. Even with the loss of a core group of four seniors last season, who each played in key positions on the field for the majority of their careers, Filler is confident the team’s offseason preparation has sparked new chemistry the group will need to win big. As the team’s mentality continues to intensify, the Cats will continue to take each game one pitch at a time, with Drohan hoping that a Women’s College World Series berth is in their line of sight.